Ski sports apparel, main purpose is to keep you warm, protect you from getting wet, give breathibility and reduce the likelihood of overheating. There are arrays of fabrics, and fabric systems, different brand names, many claiming superiority.I will endeavour to give you a basic understanding of clothing,and layering used.I will give you the approach which I have used since childhood.It is aimed at allowing you to make a more informed choice when skiing in extreme cold. a/waterproof non breathable fabric—this layer will not allow water penetration hence may be suited for rainy weather, where a great physical effort is not required during skiing,or where perspiration is not going to set in too quickly.The synthetics used are nylon-polyurethane. These shells are light in weight, can be easily folded into a back pack. They don’t occupy much space,and may even be worn on top of other clothing. The disadvantages of this part of the ski sports apparel, are that with increasing effort your perspiration condenses ,and becomes trapped under the fabric. This over time compromises the underlying layers performance. Soon you are having a sauna while skiing. b/ water resistant breathable fabrics –are engineered to assist with body’s thermoregulation by letting perspiration escape, whilst blocking rain or snow from penetrating. This acts like a semi permeable membrane, neat stuff! The large molecules such as snow ,hail or rain droplets are blocked out,whereas smaller vapour molecules produced by skin diffuse out. The outcome is that you don’t drown in your perspiration .Highly recommended for skiers. You may have heard of big players in the ski sports apparel industry. One of them is Gore-Tex, who is one of the first guys that I know who engineered breathable fabrics. Another big player is North Face clothing .In the current market,just to balance the equation, view other breathable jacket suppliers to compare the products. If you are looking for breathable jackets or cheap breathable ski jackets to compile your ski sports apparel,try these highlighted links. One thought though, protect these fabrics with proper treatment.There are chemicals designed specifically for this clothing. As the jacket is used the fabric’s pores can block up,and the breathibility ends up] being lost. If you find the water is not beading on the surface may this be a signal to wash the fabric with special treatment. When you’re done put it though a dryer, this helps the fabric recover. Finally some practical tips when looking at acquiring ski sports apparel jackets for kids, I would consider hiring the outfit since their growing needs require updating every year. 2/Inner Insulating Layer can be clipped into the jacket, or be a permanent fixture there of. I prefer clip in types, as they are much easier to dry after a full day of skiing.High quality goose down is the warmest insulator. Why high quality you ask, because fine feathers stay suspended in a mesh better than other types, without lumping too much. This process keeps you dry. Should they get wet,drying them is easier. Further to this point look for chequered stich pattern inserts.They hold the goose down in multiple packets,minimizing clumping. Other inserts becoming more popular are synthetic.They try to imitate characteristics of goose down by forming a lattice which is supposed to trap heat.Advantages are they can be washed (low temp) without compromising heat trapping properties,and are cheaper to buy. Use of fleece fabric in winter clothing, is climbing in its popularity as it does a reasonably good job in temperatures up to -10 deg Celsius. If you would like to know how to take care of fleece or are just looking to add fleece to your insulating ski sports apparel ,these pages may help. Tip for the overseas traveller…..if you travel lightly ,try vacuum bags for carrying your clothing. This approach saves a lot of space. Often underneath the jackets insulating layer ,I use other clothing in the form of jumpers, polo necks ,vests or traditional mum’s mittens ,ha!! Wool ,benefits are, that it retains very little water .Filaments trap heat effectively, an the woollen mesh does not collapse under its weight.It repels water and compresses easily. It traps a layer of warm air similar to a dry scuba diver’s suit. Unpopular with some as it scratches the skin. 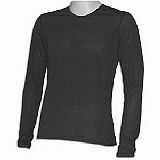 A way around it is to look for finer grade woollens such as angora or fine weave merino wool. Oh.. and if getting changed too many times during the day is not your forte, wool does not retain odour. Tip, shrinkage is common with moms woollens so don’t spin dry the outfit. Cotton outfits are mainly recommended for warmer weather as it ventilates well.It also provides wear comfort and sun protection.In colder weather it can be dangerous as it saturates with perspiration, absorbing many times its weight in water. As a result it has very limited insulating capability. Few hypothermic accidents have been attributed to cotton among more extreme skiers going well beyond the boundry. Polypropelene-found its application in garden furniture and garments including underwear. They can be uncomfortable to wear,ventilate more poorly than wool and trap moisture between filament network more easily than wool.They can however be wrung out easily, hence dry quicker.They do retain some insulating properties, and are commonly used as thermal undergarments. Take caution on first dates as odour retention is common. Polyester -offers similar attributes to polypropelene,offering somewhat enhanced ventilation,reduced water and odour retention.It is more comfortable to wear against the skin, also being a reasonable candidate for thermal undergarments.I do not however,recommend polyester for very cold weather skiing adventures. Nylon -ski sports apparel fabrics bears similar attributes to the above synthetics,the difference being greater wind resistance.Hence the fabric made its way into not only undergarment world but also in a denser fabric weave to external wind jackets. Water retention depending on fabric weave can be higher than that of polyester.It is a strong fabric still retaing some elasticity.I recommend it primarily as wind jackets. This layer I believe is the foundation to all the above layers.Think of it, as a paint undercoat for the other paint layers. Without this layering the other garments do not work at optimal capacity. This layer by itself provides warm insulation,but unless you’re a superman don’t omit the other parts of ski sports apparel ,namely: 1/outershell, 2/inner insulating layer. a/ Outfits of 200g/m2 for mild temperature conditions, not dropping below -4 deg C.
b/ 260g/m2 density for more serious adventures colder than -4 deg C and moderate wind chill. d/ 340g/m2 is more in texture like a jumper and is more commonly used as a second skin layer if needed. My tip, if you are looking for wool with some durability which will withstand many wash cycles, consider merino, angora is also good but I feel lacks the durability of merino. If you would like to get a feel for what different thermals, can contribute to your ski sports apparel,or more specifically what woolen thermals cost,these pages may help. There are some great markets and clearance houses that carry both new and preloved ski sports apparel, do keep an eye for those after season sales and grab some bargains. From Sports Ski Apparel Back Home.